One of the world’s most celebrated composers of our time, Arvo Pärt celebrated his 80th birthday on 11th September 2015. 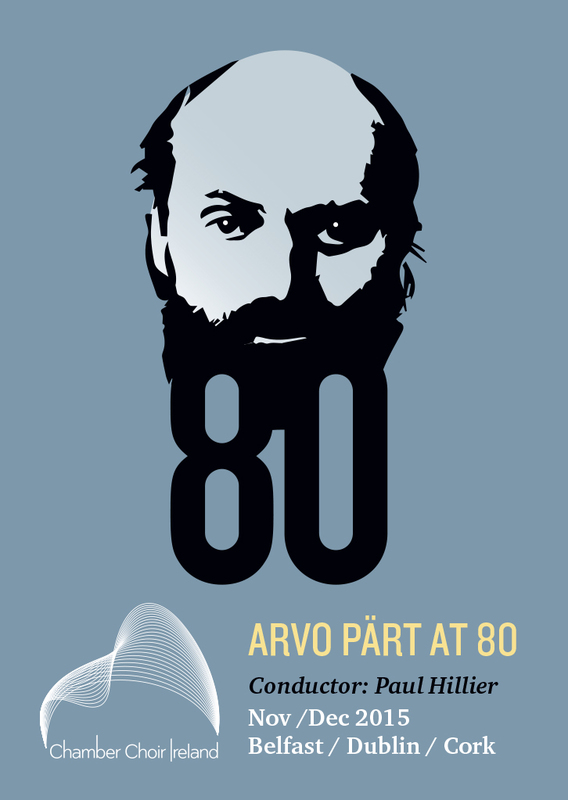 To mark this, Chamber Choir Ireland brings together some of his best choral works from throughout his composing life to date in a retrospective: Arvo Pärt at 80. As a leading interpreter of Pärt’s work, CCI Artistic Director, Paul Hillier, has programmed some of the composer’s shorter works from Solfeggio (1963) and the setting of St Patrick’s Breastplate The Deer’s Cry (2007) to excerpts from the seminal Kanon Pokajanen. Paul Hillier commented on this marking of Pärt’s 80th birthday, that while Pärt’s style ‘hasn’t changed hugely over the years…there has been a progression’ which will be evident throughout these concerts. Through the Arts Council’s North/South Touring and Dissemination of Work Scheme, Chamber Choir Ireland is delighted to collaborate with Moving on Music in Belfast and Triskel Christ Church in Cork presenting 3 performances from North to South in November and December 2015 in association with the Estonian Embassy in Ireland.